New fast-paced multiplayer horror game, Pacify, to be released on Steam for PC and Mac February 2019. After watching many many great game play videos of Emily Wants to Play, it was obvious that our fans would enjoy a horror game that they can play with their friends. It seemed that the only thing better than being scared yourself was watching and hearing your friend’s terrified screams! In Pacify, you will be able to play with up to 3 of your friends for a total of 4 players. You will also be able to play in either cooperative or competitive mode with those players. Players will explore a creepy mansion and learn about its rumored past while collecting evidence, items and trying to survive. Players will have the opinion to even play as single player, however, that will be a much harder task. We are excited to bring something new to PC and Mac and have plans for console release to follow soon. We appreciate the continued support! P.S. There will be an Emily Wants to Play 3! Emily Wants to Play Too is now on mobile. 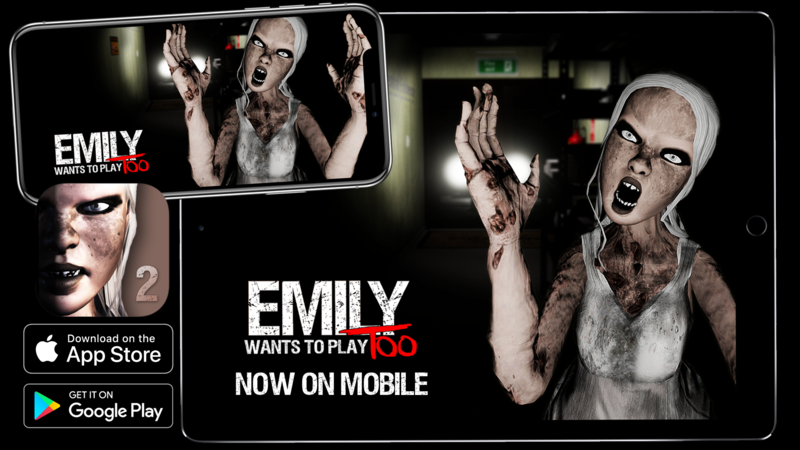 Emily Wants to Play Too was released on mobile devices today (September 7, 2018). Emily Wants to Play Too will be coming to the App Store soon. Follow this link to pre-order it for free right now. Emily Wants to Play Too is now live on Xbox One. This is the new creepy sequel to Emily Wants to Play. You play as a young sandwich delivery guy. He needs to deliver a sandwich order to an office building, but he is in for one of the scariest nights of his life. Emily Wants to Play too is bigger, better, and scarier with more story about Emily. The old dolls and Emily are back plus a new scary baby doll, a jack-in-the-box and a creepy mannequin. Have fun trying to use your wits to survive Emily’s creepy games. Emily Wants to Play Too is now live on the PS Store to download. It is the sequel to Emily Wants to Play. This time around play as a young sandwich delivery guy. He needs to deliver a sandwich order to an office building, but he is in for one of the scariest nights of his life. Emily Wants to Play too is bigger, better, and scarier with more story about Emily. Emily and the old dolls are back plus a new doll, a jack-in-the-box and a creepy mannequin. Have fun trying to use stealth and strategy to survive Emily’s creepy games. Here’s the newest Emily Wants to Play Too trailer. I hope you like it. The game has turned out to be several times larger than the original. Prepare to get lost in an old evidence storage building with the dolls, Emily and their new friends. You will need to survive inside the office with everyone along with playing their new games. While running around, be on the lookout for more clues as to what is happening with Emily and her friends. 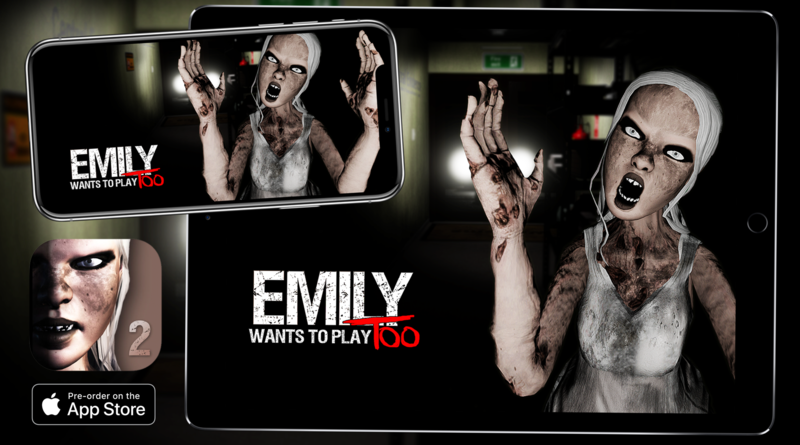 Emily Wants to Play Too has more characters, more story, more scares and more games. Get ready! Emily Wants to Play is now available on the Xbox One. Run around in a creepy house as an unlucky pizza delivery guy that gets trapped by Emily and her dolls.